Most people start a new workout regimen with a specific goal in mind, be it an increase in overall fitness, a general accrual of mass, or getting specific body parts or groups of muscles in fantastic shape. Some choose to do it for aesthetic purposes, others for health, and still others for the competitive advantage an increase in muscle mass can offer either in individual or team athletic contests. 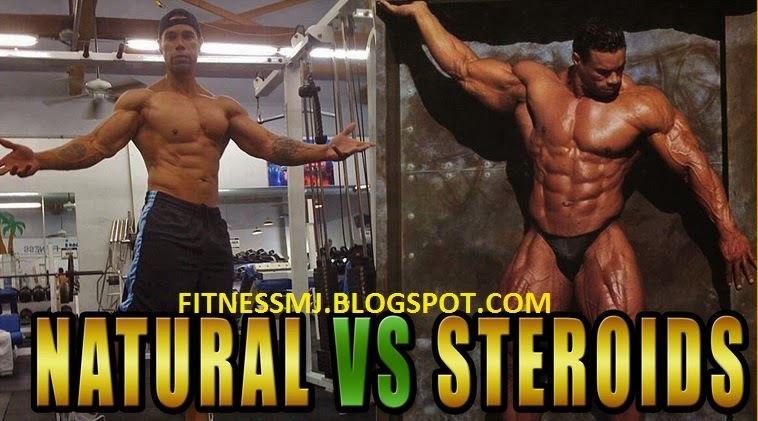 A popular area of development for people who are seeking muscular development is the upper arms – the ever-popular “big guns” of the bodybuilding and weight room fraternities. 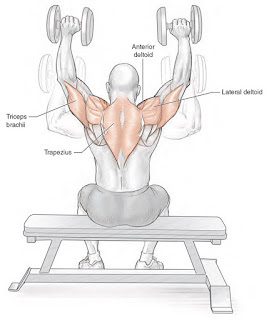 Where many neophytes go wrong is in concentrating all their efforts on building up their biceps, and leaving the triceps, at the back of the arm, comparatively underdeveloped. This is a rookie mistake. 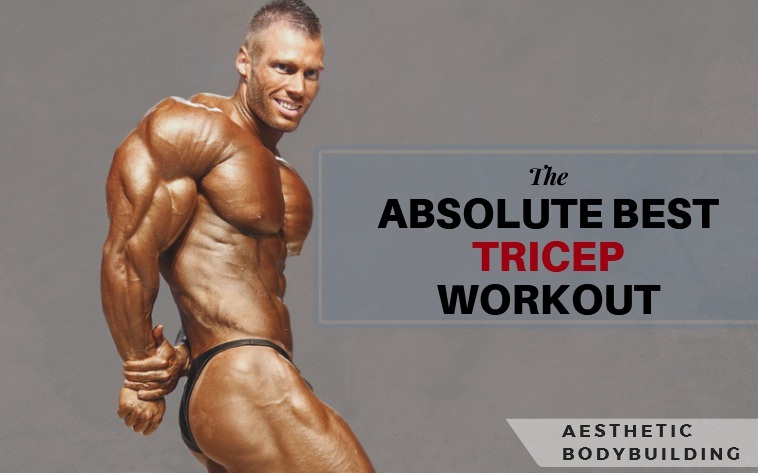 Working on the triceps concurrently with the biceps will produce far more impressive results in the overall size, shape and general aesthetic of the arm. You’ll soon have a satisfyingly rounded bulge in a shorter period of time than biceps work alone will accrue, besides greater strength and durability in the arms, as a whole. Here are five simple exercises designed to give the extra attention to that oft-ignored group of muscles. While remarkably efficacious on its own, these exercises can produce even more impressive results when complemented by a protein hormone solution like Pregnyl 5000 - HCG Organon. This exercise is best undertaken at the start of your routine because, although it certainly helps with the development of your triceps since the point of movement is at the shoulder joint, you can run the risk of that particular joint tiring too quickly, jeopardizing the remainder of your workout session. 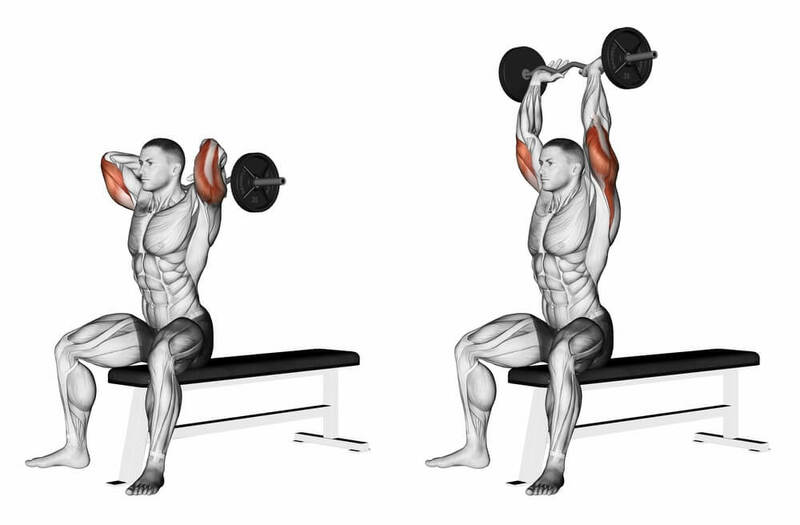 For maximum impact on the triceps area, be sure to perform this exercise from a seated position, rather than leaning back on an incline bench. What better way to pump those triceps than with this old classic? Grabbing the bar in different positions will not only prevent unwanted stiffening and cramps in the triceps but will also add some much-needed variety to your workout. 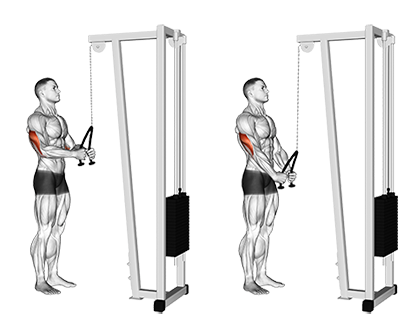 Like the previous exercise, rope pushes will isolate the triceps more than standard presses will. Keep your elbows tucked tight into your body, so that you perform the push with your muscles, instead of with the momentum of the swing. 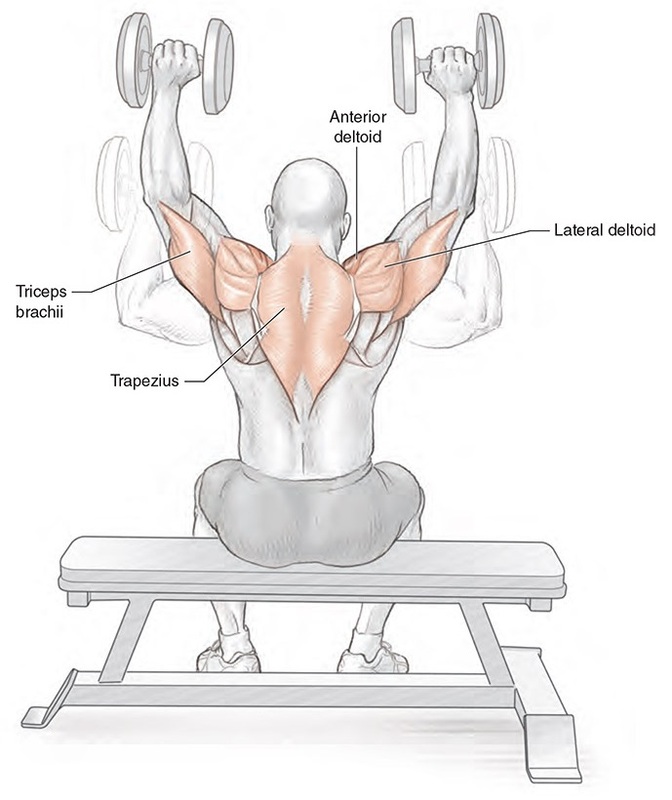 Another popular exercise for triceps development is the humble bench press, since it provides the easiest solution to loading up the weight prior to the exercise. 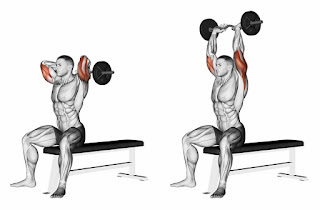 Positioning your hands nearer the center of the bar will impact your triceps more than will the standard wide grip, particularly as the barbell is lowered. An added bonus to this exercise is the natural development of the chest muscles, which will also accentuate your larger arms. Our final exercise is one that anybody can do, even without access to weights. A low-impact exercise, your positioning is the same as in a standard triceps push-up (that is, with the elbows pointing out from the body at a ninety-degree angle, to shift the strain to the correct muscles.) By using an exercise ball to raise the legs from the floor, greater strain is put on the triceps, leading to faster development. Stick any of these into your triceps routine to add more medial-head work: Reverse-grip barbell bench press: 3-4 sets of 8 reps, 60-90 sec. rest. 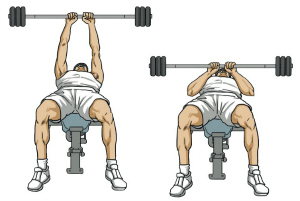 Reverse-grip cable press-down: 3 sets of 8-12 reps, 60 sec. And other thing which plays a major role in muscle building is good and natural supplement like hgh supplement for men it's very effective and does not cause any side effect in the body. So it's truly a must try. Body Building is essential to the structure and function of all living cells and is the building material of muscle. Protein is probably the most important nutrient for a bodybuilder because it's used by the body to build, repair and maintain your muscle. Supplements play a major role in body building so I always prefer to use Xtreme No that does not cause any harm to the body and is totally natural. Body Building is essential to the structure and function of all living cells and is the building material of muscle. Protein is probably the most important nutrient for a bodybuilder because it's used by the body to build, repair and maintain your muscle. Supplements play a major role in bodybuilding so I always prefer to use hgh. 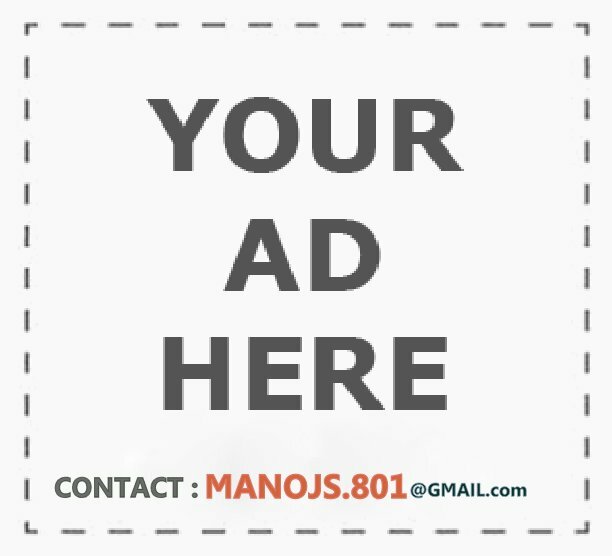 It is a great post, "I have known Rick Kaselj since college. Since then I have gone to Chiropractic college and become a Diplomate of the International College of Applied Kinesiology and a Diplomate in Clinical Nutrition. As a result I have come to some important conclusions about how the body works. Hip flexibility, mobility and strength is one of the most important things you can do to keep your overall body healthy. The way we moved thousands of years ago is our natural state, which requires flexible and mobile hips.